New Maven C.2 Compact Binoculars – Maven have added to their stable of extremely high quality optics with a couple of compacts that look set to offer a serious threat to any other high end compact on the market. Both in terms of features and price. With a low RRP of only $2000, the C.2 is available in 7x28 and 10x28 configurations, come with ED glass lenses, phase corrected, dielectric coated roof prisms and fully multi-coated optics. New Canon IS Binoculars with Enhanced Image Stabilization – Canon’s new IS binoculars feature enhanced image stabilization that they call "Lens Shift Image Stabilization Technology" and will feature in the following new configurations: 14x32 IS, 12x32 IS and 10x32 IS and are initially set to have and estimated retail price of $1449.00, $1399.00 and $1349.00 respectively. New Nikon PROSTAFF 3S Binoculars – Aimed at the mid range market, the Prostaff 3S binoculars in 8x and 10x42mm configurations boast features like twist up, multi-position eye-cups, O-ring sealed, nitrogen filled bodies, silver coated roof prisms and multi-coated lenses. New Leica Trinovid HD Binoculars – Details of the two new updated Trinovid premium entry level binoculars to the Leica stable that now includes HD optics and their ne Adventure strap – the all-in-one carry case and binocular harness. 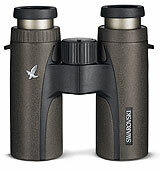 New Swarovski EL Family Binoculars – One of the most iconic ranges currently available has been updated with Swarovski Optik making a number of improvements to the design and functionality to all the instruments within their EL stable. These improvements include a new neck strap and fixing system that makes them more comfortable, easier to swap with other straps and accessories and faster to adjust in length. There are also a new designs to the objective and eye-piece covers as well as minor adjustments to the focus wheel and diopter. 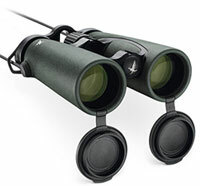 New Swarovski CL Companion Africa Binoculars – Swarovski Optik announces the release of a new special edition to their highly successful travel series, the CL Companion. Rather than being a completely new binocular, the Africa edition focuses on the design, drawing inspiration from the great continent and thus makes them the ideal companion to any safari adventure. Updates have been made to the color of the body and some small details like the eyecup housing as well as the inclusion of a superior grade and handmade carry bag and leather carry strap. Vanguard Sport Optics announced the introduction of the Endeavor ED II series binoculars, that will supersede the standard Endeavor’s as their new flagship range and which according to the company feature a number of key design and optical improvements. New Snypex Knight ED Binoculars – Snypex Sports Optics announces a new mid to high end series of ED binoculars to their line-up. 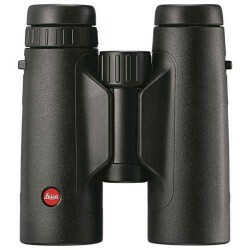 With 6 models, these mid and full sized roof prism binoculars come with ED glass elements in their apochromatic lenses, fully multi-coated optics all wrapped up in a water and fogproof magnesium alloy chassis. Three New Vortex binoculars shown off at Shot Show 2014 – Vortex Optics decided to spill the beans on three new models to their line-up that will be available from Spring 2014. 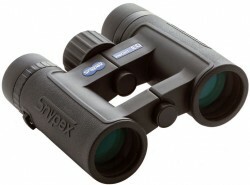 The Vortex Vulture 15x56, Viper HD 12x50 and the Kaibab 20x56 binoculars are in response to what they say is public demand for higher magnification bins. New Bushnell NatureView Binoculars – Bushnell Outdoor Products have completely revamped their very popular line of NatureView Binoculars by adding a new design and adding some new models. 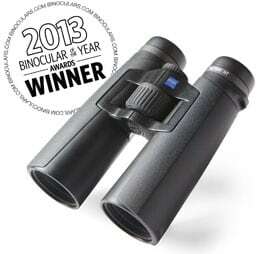 New Nikon MONARCH 5 Binoculars – Nikon’s introduction of their new and completely redesigned Monarch 5 binoculars. Improvements include the addition of an ED lenses. New MINOX BL HD Binoculars – Details of the new line of Minox binoculars which were introduced at the recent IWA Outdoor Classics show. New Vanguard Spirit XF Binoculars – Based on their flagship Endeavor ED Bins, the Spirit XF’s have some quality components and features, eat are available at a budget-friendly price. New Vortex Razor HD Binoculars – Details of the new Vortex Razor HD binoculars, which are an evolution on their "standard" Razor binoculars and are slightly smaller and lighter and now include HD glass. New Zeiss Victory HT Binoculars – Details of the new sand stunning looking Zeiss Victory HT Binoculars unveiled by Carl Zeiss Sports Optics at the 2012 NRA Annual Meetings, the longest running shooting & hunting show in the world. 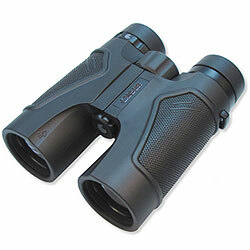 New Eagle Optics Golden Eagle HD Binoculars – Details of these new bins that are available in both 8x42 and 10x42 configurations featuring a rugged and lightweight body, waterproofing, fogproofing and HD Glass elements. Deals: Zeiss, Leupold ,Vanguard, Pentax, Steiner – It’s a Binocular Rebate & Cashback Bonanza! 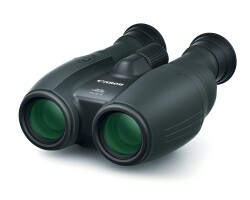 New Article: Best Binoculars Money Can Buy? Question Answered: Are 32mm Binoculars all you Need? 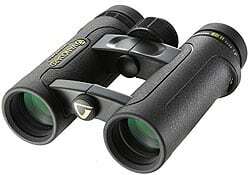 Vanguard Spirit 8x42 ED vs Barr & Stroud Series 4 ED 8x42 – Which ED Glass Binoculars? On your advice, purchased zeiss binos figuring on the reputation of the company. And a rebate offer did not discourage. Except that the rebate never came, and the rebate center denied receiving the sales receipt (even though the status page indicates otherwise). Any help from Zeiss? Zeiss answers calls with a machine, and does not respond to emails or calls. Hi Dan, sorry to hear that you received poor customer service from Zeiss, but thanks for letting us know. Hopefully you still enjoy using your bins.